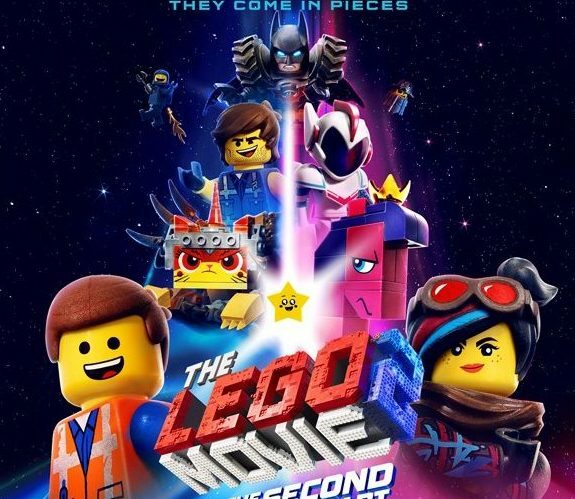 As much as I liked playing with Lego in my childhood, I didn’t expect to enjoy the first Lego movie nearly as much as I did. Truth be told, I’ve only just got the infuriatingly-catchy earworm, Everything is Awesome, out of my head, nearly five years after its release! So just to keep me on my toes, they have decided to release the second movie. And shamelessly include a track simply called, Catchy Song! Cue another 4+ years of an earworm on repeat! As much as I should hate them for that, it’s difficult to dislike this movie. Like the first offering, the story is told through a child’s imagination, and that is something we can all relate to. However, since it is five years later, alongside the original protagonist, Finn, we are introduced to his sister, Bianca, who has now started playing with his Legos. This adds a whole new dynamic to the story, as both children have rather different ideas about what constitutes a fun Lego experience. Anyone with siblings will totally relate to the bickering over toys, and their fighting ties in with what is going on in the Lego story. All the favourites from the last movie are back, and we also get new characters and new towns within the Legoverse, which really opens up the world. Personally, I was thrilled that Wonder Woman (voiced by Gal Gadot herself) makes an appearance! The one negative, perhaps, is that at times the abundance of superhero characters feels like a shameless sell for the other DC movie offerings (even their most recent big screen hero Aquaman makes an appearance, as does Harley Quinn, who is due to get a standalone movie) and this could perhaps put parents under pressure, in terms of buying merchandise, and allowing kids to see movies. For myself though, as a major fan of all things comic-book though, I loved this. I’m not going to summarise the whole plot, because if you’ve seen the first one you already know that it will veer off on tangents of whimsy. Suffice to say our hero, Emmet (Pratt) and Lucy (Banks) are still together, and their relationship pretty much drives the story, as does a lot of catchy pop music (I refer you once again to Catchy Song!) Given the diverse worlds you can create with Lego, you have everything here, from superheroes to space ships to time travel, meaning that there really us something for everyone, no matter where your imagination takes you. This isn’t as much fun as the first one, given that we know the premise, but it is still extremely entertaining. It is a perfect follow-on to the original movie, and will appeal to all ages. There are in-jokes and subtle nods to things that will resonate with the adults, while simultaneously keeping the LOs thoroughly engaged. It has a lot of humour and heart, and although the seemingly incoherent ideas shouldn’t work, they really do, thanks to the premise. Everything is only slightly less awesome, and this is definitely worth a look, even if Catchy Song will be stuck in your head for the next four years! ← Everyman Theatre Cork: Spring 2019 Programme Announced!